It is similar, but not an exact copy. Firstly, it has a 5-blade rotor and some different angles on the fuselage and tail. Apparently, it has better performance than the Black Hawk though. 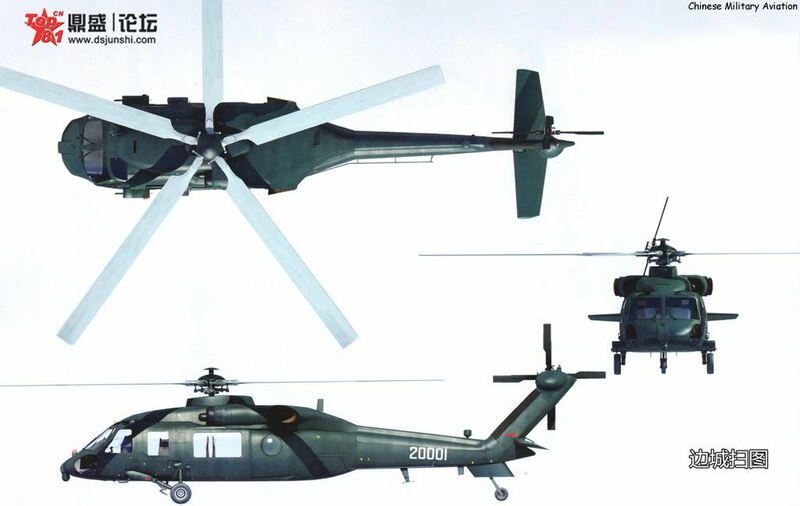 If you go on Google and enter ' china Z-20 helicopter ' in their image section you will be presented with a Sikorsky H-60 black Hawk clone. from the nose to the beginning of the tail cone It is for a near exact copy of the H-60/S-70 Sikorsky the top deck engine and transmission cowl is identical even to the engine exhausts. only the main rotor is different being Five Bladed. I hope China has a plastic model in the works for us heli-enthusiasts to put beside our H-60s. I will try to put up a picture.